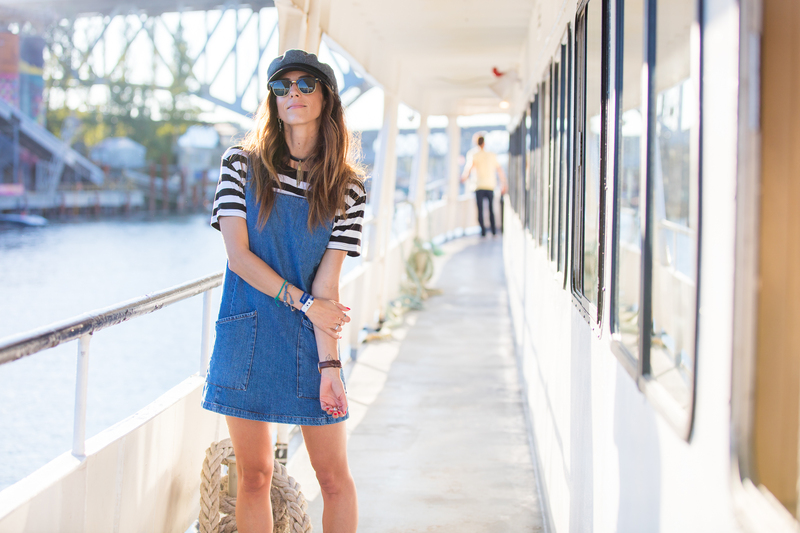 When on a boat this summer, Captain Denim. Every summer there needs to be a token boat cruise fiesta! This year, I chose mine to be the KnowShow 10 year anniversary party. We cruised out of the harbor during sunset, catching golden hour and the amazing scene of the summer festival of light that happens once a year in Vancouver. You will never see as many people on a beach watching the sky as you do for this event. The KnowShow is a trade show, happening twice a year where all the best labels and brands sell to the stores in Western Canada. 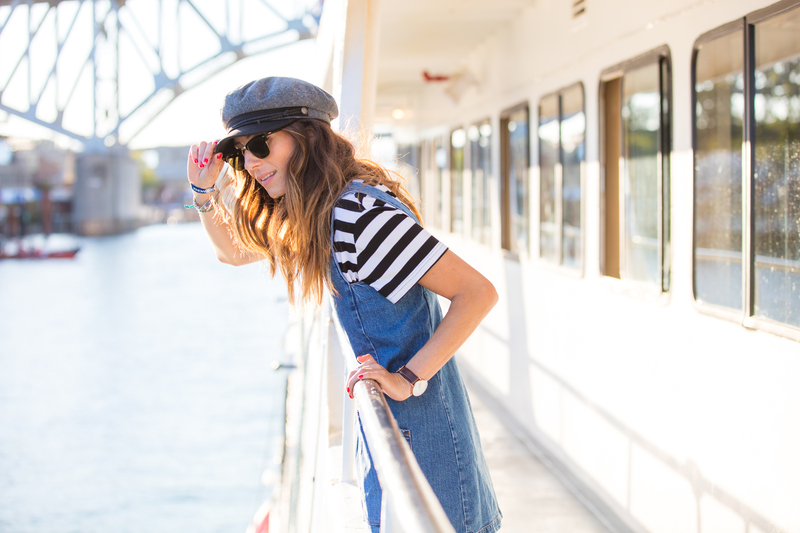 A night on a boat, naturally I had to sport some stripes in the most captain like way, also pair it with my go to hat! I think I need to add to this newsboy collection by getting it in white! Thoughts?